Introduction to the principal areas, problems, and concepts of psychology. Students must purchase the ZAPS software, and course textbook. Chris Gade is a Berkeley PhD who has a great deal of experience teaching Introductory Psychology. Chris Gade is a Berkeley PhD who has a great deal of experience teaching Introductory Psychology. John F. Kihlstrom is the Richard and Rhoda Goldman Distinguished Professor in the Division of Undergraduate and Interdisciplinary Studies at UC Berkeley. He received his BA degree from Colgate University in 1970, and his PhD from the University of Pennsylvania in 1975. He previously taught at Harvard, Wisconsin, Arizona, and Yale. Prof. Kihlstrom identifies himself as a cognitive social psychologist with clinical training and interests. His research interests include unconscious mental life, memory, and social cognition, He is best known for his research on hypnosis. Kihlstrom has served on a number of advisory committees for the National Institute of Mental Health, and was editor of Psychological Science, the flagship journal of the Association for Psychological Science. Prof. Kihlstrom has been teaching the introductory course for over 30 years. It is his favorite course. He has organized the course not just to serve the needs of prospective psychology majors, but also to serve the purposes of general education in the liberal arts. 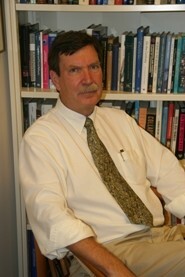 In addition to his lectures, Kihlstrom maintains a set of Lecture Supplements for the course, which constitutes an online textbook. In addition to the introductory course, he teaches upper-division undergraduate courses on "Scientific Approaches to Consciousness" and"Social Cognition".